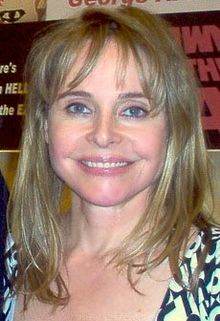 Priscilla Barnes (born December 7, 1955 in Fort Dix, New Jersey) is an American actress. She has been in many movies and in television programs. She starred in the sitcom Three's Company and the movies Mallrats and Licence to Kill. Some sources give 1955 as her birth date, while others say 1958. This page was last changed on 27 January 2017, at 00:26.